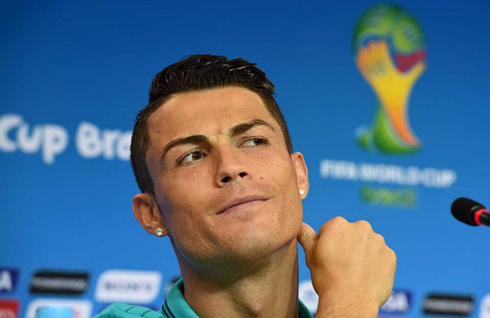 ﻿ Cristiano Ronaldo: "Germany are a strong team but we want to win!" 15.06.2014 » Cristiano Ronaldo: "Germany are a strong team but we want to win!" 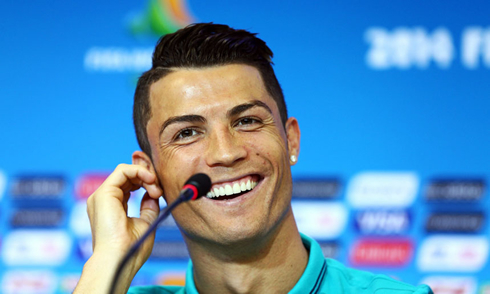 The day before Portugal's highly awaited debut in the 2014 FIFA World Cup, Cristiano Ronaldo attended the press conference in Salvador and previewed tomorrow's match against Germany. The Portuguese star claims he's ready for the big challenge coming ahead and also that he believes this could finally be Portugal's year in a major tournament. 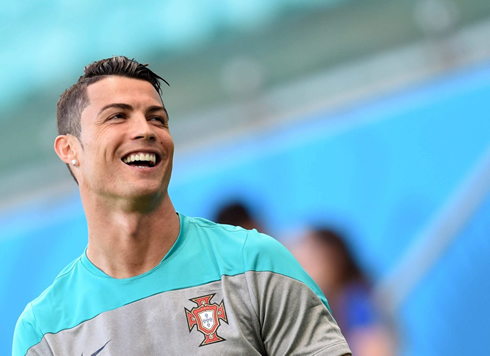 It's all set in Salvador for tomorrow's Germany vs Portugal clash and no better man than Cristiano Ronaldo to show up in the press conference for this match's preview and share his thoughts on the World Cup that is about to start for the Portuguese National Team. The 29-year old forward has been recovering from an injury on his left knee for the past few weeks, but 24 hours away from his side's debut in the tournament, he finally confirmed to the World that he'll be fit for the game against Germany. 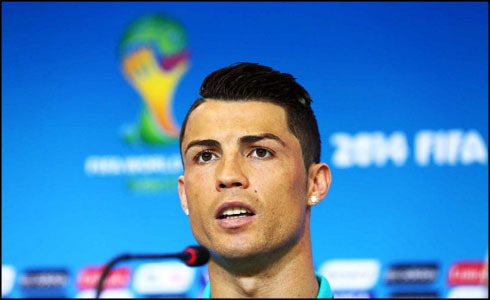 The Real Madrid star also thanked the Brazilian people for the warm welcome he and his teammates have been getting in Brazil and he revealed his great optimism about Portugal's campaign in this World Cup. The Portuguese National Team underwent their last training session earlier this Sunday and they've already done it on the stage of tomorrow's game, the "Arena Fonte Nova", in Salvador. At the end of the practice, Cristiano Ronaldo headed to the press-conference room and answered all the questions during the few minutes he stood in front of the journalists. The first question was naturally to inquire the Portuguese star about his physical condition and whether or not he would be ready for tomorrow's game between Portugal and Germany. Cristiano Ronaldo: "I wanted to be at 110%... Unfortunately, I'll only be at 100% but I think it will be enough to help my team. The problems I've had are part of the past already. If I've been training normally in the last days, that's because I'm not injured anymore. I didn't want to have any kind of pains, but sadly that's not possible. Anyhow, since I started playing football, I never had a day without feeling any pain. I'm ready, prepared and very motivated for this tournament", assured the Portuguese star, making clear that he won't miss tomorrow's debut game against Germany's National Team. Cristiano Ronaldo: "One single player doesn't make a team. I'm here in the Portuguese National Team with a clear intent of helping out the most I can, but I'm only one player among many. I feel I'm capable to make the difference, but I can't carry the team on my back", stated Portugal's all-time record scorer, as he tried to soften the pressure set on him for the upcoming 2014 FIFA World Cup in Brazil. Cristiano Ronaldo: "I would also like to thank the support we've been receiving from the Brazilian people. I hope it can continue to happen throughout the whole tournament. My deepest thanks and gratitude for the way we've been welcomed both in Campinas and Salvador. 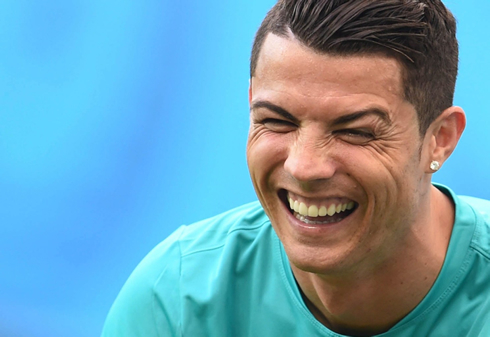 We'll try to correspond on the pitch...", promised the Portuguese captain, who has been one of the most applauded and idolized player by the Brazilian crowd, during the many Portuguese Team training sessions held in Brazil so far. 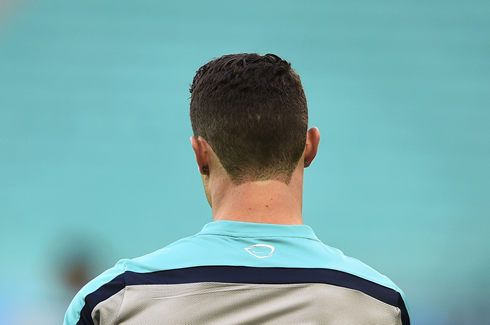 Ronaldo: "We have to be ambitious, but at the same time, we must keep thinking on a game by game basis. We're not the favorites against Germany, neither we are the favorites to win the World Cup. However, that might be good for us because we have to be realistic about our chances. In football, everything is possible... I like to keep a positive spirit and I'm confident that things will go well for us. I've got a great feeling towards this tournament! ", commented the FIFA Ballon d'Or winner of 2008 and 2013. As for Germany, their opponent in tomorrow's match, even though Ronaldo has nothing but respect for the "Mannschaft", he obviously believes in his country's chances to pull off a surprise. 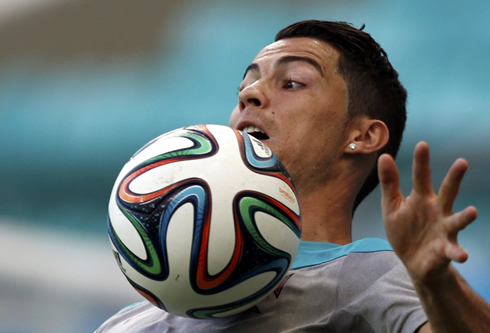 Ronaldo: "Germany is a very strong team, one of the best in the World and one of the favorites to win the World Cup. However we'll be going out there trying to win that game and we'll do our best to start things in this World Cup in the best way possible. We may have history and previous meetings with Germany suggesting we could be the favorites, but that's not very important as we've seen this season with Real Madrid and Bayern Munich. I'm confident this will be Portugal's year! ", previewed the former Manchester United player. Cristiano Ronaldo's next game will be his debut in the 2014 FIFA World Cup, on a match between Portugal and Germany, scheduled for June 16 of 2014, in Salvador (Brazil). You can watch Juventus live stream, Germany vs Portugal live stream, Russia vs South Korea, Brazil vs Mexico, and Belgium vs Algeria, all matches provided from our World Cup live streaming game pages.